I have a super fast and easy tip for you all today-how to hang a sweater (without ruining it!) 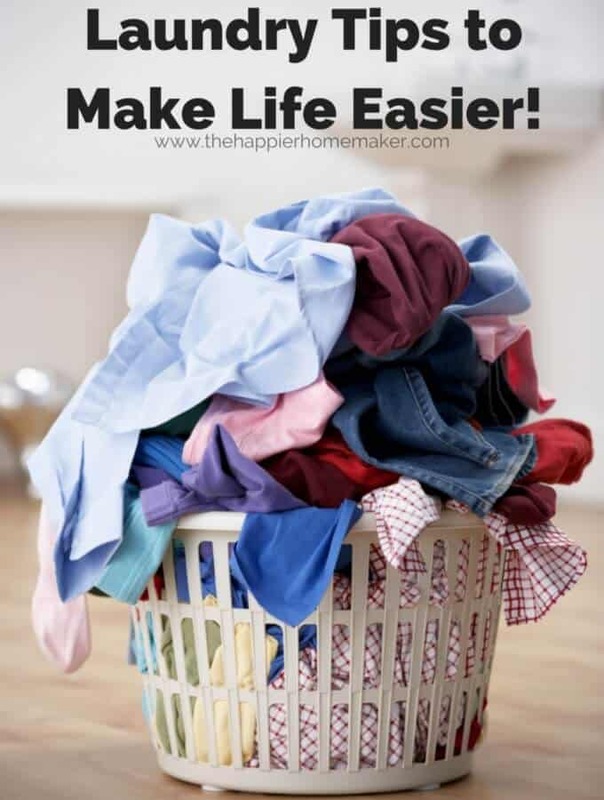 We all know we’re not supposed to hang sweaters on hangers to avoid stretching out the shoulders and ruining the shape-I remember learning that lesson the hard way in junior high! But did you know you CAN hang your sweater up without damaging it? Yes! 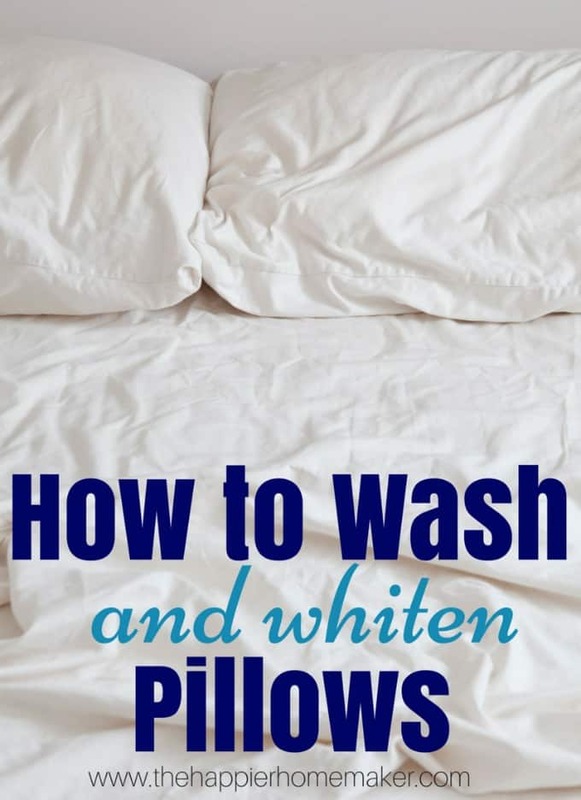 It’s so easy you’ll be surprised and I have a step by step tutorial (and video) to show you how! First lay your sweater flat and smooth it out. Fold the sweater in half vertically so that the sleeves are stacked on top of one another. 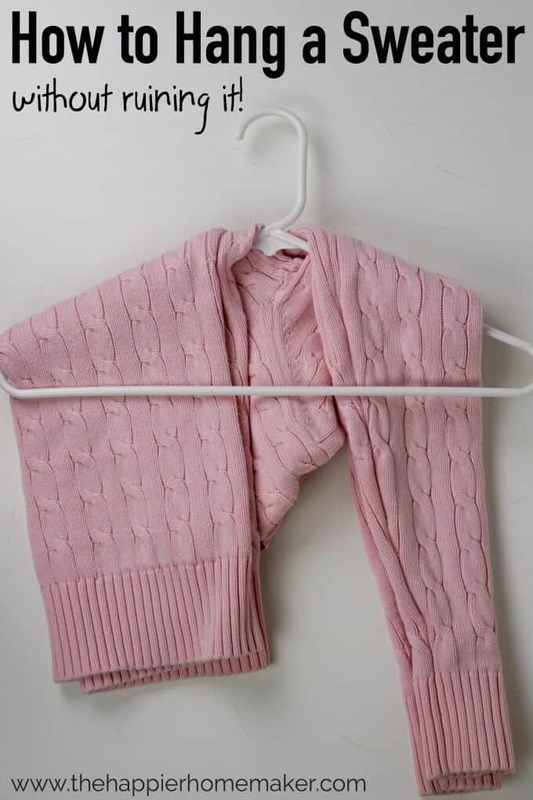 Place your hanger as shown so that the hook portion is between the sweater body and arms. 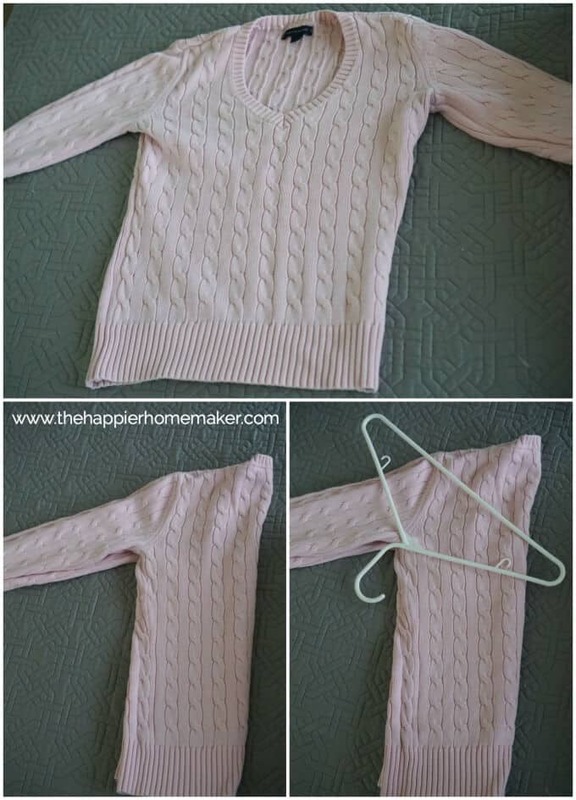 Fold the body of the sweater over the hanger and tuck underneath the bottom of the hanger. Repeat with the sleeves. That’s all-you’re all finished! Now you can hang your sweaters up without worrying about damaging them! I don’t know about you but I prefer hanging my tops so that I can see my options better when picking out what to wear-this is perfect for that! 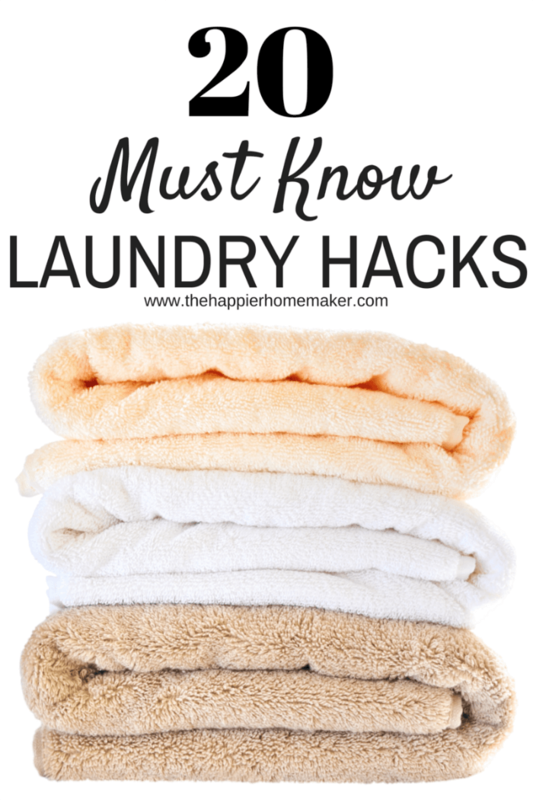 Did you know this little trick for hanging sweaters? I love the sweater idea. I did not know this, and it is genious! Thanks for sharing. What a great idea about the sweaters! I do agree with a previous comment; there are too many ads. Several of them popped open on top of the video, blocking portions of the video showing how to hang the sweaters. Love the tip! I also am curious about the art you have hanging above your bed, any info about it?? I love the idea, though it doesn’t work for a man’s L sweater. The half width is wider than the hanger. Bummer! The sweater hanging method is great! I like to hang EVERYTHING, but always hated that the shoulders would stretch out. This is the cure for that problem. The only negative I would mention is that this method uses up more rod hanging space. Microbiology did the same for me. Some things we can see are down right yucky but be afraid of what you can’t see! Last time I washed mine? Well… let’s say today is a good day to do just that!